!!!! !OMG SUPER HUGE SALE OMG!!!!!! 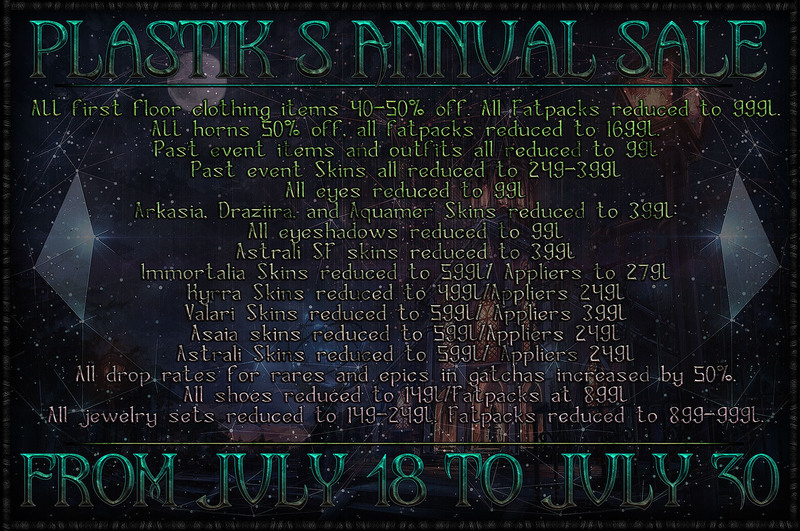 The Plastik is having their annual sale and holy jeebussss….. I’m kinda freaking out over the awesomeness that’s going on! If you or someone you know is looking for some gorgeous items on the cheap, head on over to The Plastik for annoying items!